Match ends, Rennes 1, Paris Saint Germain 3. Second Half ends, Rennes 1, Paris Saint Germain 3. Attempt missed. Hamari Traoré (Rennes) right footed shot from long range on the right is high and wide to the right. Assisted by Clément Grenier. Attempt blocked. Ángel Di María (Paris Saint Germain) left footed shot from outside the box is blocked. Assisted by Juan Bernat. Attempt missed. Edinson Cavani (Paris Saint Germain) right footed shot from outside the box misses to the left following a set piece situation. Substitution, Paris Saint Germain. Christopher Nkunku replaces Neymar. Substitution, Paris Saint Germain. Thilo Kehrer replaces Thomas Meunier. Attempt saved. Jordan Siebatcheu (Rennes) header from the centre of the box is saved in the top right corner. Assisted by Clément Grenier with a cross. Attempt blocked. Hatem Ben Arfa (Rennes) right footed shot from the right side of the box is blocked. Assisted by Ismaila Sarr. Corner, Rennes. Conceded by Marquinhos. Attempt missed. Benjamin André (Rennes) right footed shot from outside the box is close, but misses to the right. Goal! Rennes 1, Paris Saint Germain 3. Eric Maxim Choupo-Moting (Paris Saint Germain) right footed shot from the right side of the box to the centre of the goal. Assisted by Thomas Meunier. Substitution, Rennes. Romain Del Castillo replaces M'Baye Niang. Attempt missed. Ángel Di María (Paris Saint Germain) left footed shot from more than 40 yards on the left wing misses to the right. Offside, Paris Saint Germain. Neymar tries a through ball, but Eric Maxim Choupo-Moting is caught offside. Adrien Rabiot (Paris Saint Germain) is shown the yellow card. Substitution, Rennes. Jordan Siebatcheu replaces Benjamin Bourigeaud. Hamari Traoré (Rennes) wins a free kick in the defensive half. M'Baye Niang (Rennes) wins a free kick on the left wing. Attempt saved. Ramy Bensebaini (Rennes) right footed shot from outside the box is saved in the bottom right corner. Assisted by Benjamin André. Corner, Rennes. Conceded by Gianluigi Buffon. Corner, Rennes. Conceded by Thomas Meunier. Attempt missed. Hatem Ben Arfa (Rennes) left footed shot from outside the box is high and wide to the left. Assisted by Benjamin André. Offside, Paris Saint Germain. Marco Verratti tries a through ball, but Edinson Cavani is caught offside. Corner, Rennes. Conceded by Juan Bernat. Delay in match Hamari Traoré (Rennes) because of an injury. 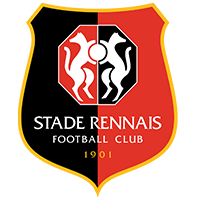 Hamari Traoré (Rennes) wins a free kick on the right wing. Substitution, Rennes. Hatem Ben Arfa replaces James Lea Siliki. Goal! Rennes 1, Paris Saint Germain 2. Thomas Meunier (Paris Saint Germain) right footed shot from the right side of the box to the bottom left corner. Assisted by Neymar. Offside, Rennes. James Lea Siliki tries a through ball, but Ismaila Sarr is caught offside. Ismaila Sarr (Rennes) wins a free kick in the defensive half. Offside, Rennes. Clément Grenier tries a through ball, but Benjamin André is caught offside. Penalty conceded by Gianluigi Buffon (Paris Saint Germain) after a foul in the penalty area. Attempt saved. Clément Grenier (Rennes) right footed shot from outside the box is saved in the centre of the goal. James Lea Siliki (Rennes) wins a free kick in the attacking half. Attempt missed. M'Baye Niang (Rennes) right footed shot from the right side of the box is high and wide to the right. Assisted by James Lea Siliki. Attempt missed. Ángel Di María (Paris Saint Germain) left footed shot from outside the box is just a bit too high. Assisted by Marco Verratti. Edinson Cavani (Paris Saint Germain) hits the left post with a right footed shot from the right side of the box. Assisted by Neymar. Second Half begins Rennes 1, Paris Saint Germain 1. First Half ends, Rennes 1, Paris Saint Germain 1. Goal! Rennes 1, Paris Saint Germain 1. Ángel Di María (Paris Saint Germain) left footed shot from outside the box to the bottom right corner. Assisted by Julian Draxler. Attempt blocked. Ángel Di María (Paris Saint Germain) left footed shot from outside the box is blocked. Assisted by Adrien Rabiot. Attempt missed. Edinson Cavani (Paris Saint Germain) header from the centre of the box misses to the right. Assisted by Thomas Meunier with a cross. Attempt missed. Ramy Bensebaini (Rennes) left footed shot from the left side of the box is close, but misses to the left. Assisted by James Lea Siliki. M'Baye Niang (Rennes) wins a free kick on the right wing. Offside, Rennes. Benjamin André tries a through ball, but Ismaila Sarr is caught offside. Attempt missed. Edinson Cavani (Paris Saint Germain) right footed shot from more than 35 yards is high and wide to the right. Assisted by Marco Verratti. Corner, Paris Saint Germain. Conceded by Mexer. James Lea Siliki (Rennes) wins a free kick in the defensive half. Offside, Paris Saint Germain. Neymar tries a through ball, but Presnel Kimpembe is caught offside. Offside, Paris Saint Germain. Presnel Kimpembe tries a through ball, but Edinson Cavani is caught offside. Presnel Kimpembe (Paris Saint Germain) wins a free kick in the attacking half. Offside, Rennes. Benjamin André tries a through ball, but Hamari Traoré is caught offside. Offside, Rennes. Benjamin Bourigeaud tries a through ball, but Ismaila Sarr is caught offside. Julian Draxler (Paris Saint Germain) is shown the yellow card. Corner, Paris Saint Germain. Conceded by Ramy Bensebaini. Own Goal by Adrien Rabiot, Paris Saint Germain. Rennes 1, Paris Saint Germain 0. Attempt blocked. James Lea Siliki (Rennes) left footed shot from the left side of the box is blocked. Assisted by Clément Grenier. Attempt missed. Neymar (Paris Saint Germain) right footed shot from outside the box is too high. Assisted by Ángel Di María. Attempt missed. Damien Da Silva (Rennes) header from the centre of the box is too high. Assisted by Clément Grenier with a cross following a corner.